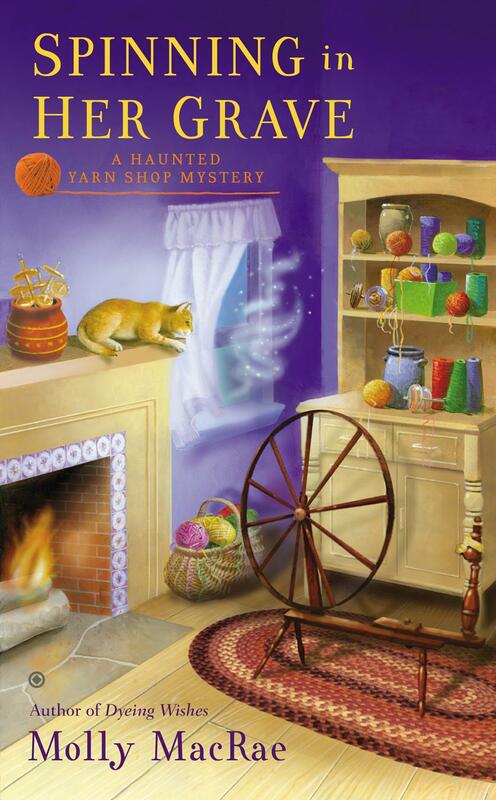 Though the series as a whole is great fun, combining needlework, a cat, a ghost, and food, this supercozy mystery can easily stand on its own. It's practically guaranteed that those who like this entry will want to read the entire series. 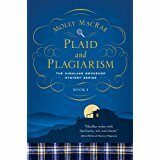 With its cast of appealing amateur sleuths and quirky town residents, this leisurely paced mystery will attract cozy fans of Paige Shelton's "Scottish Bookshop" mysteries, as well as lovers of bibliomysteries by Carolyn Hart or Vicki Delany. 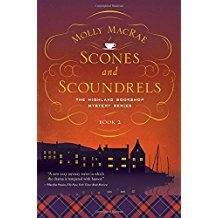 The fourth entry (after Spinning in Her Grave) in MacRae's series is full of loving crafting details and quirky, sassy characters. If you like mysteries about life in a small town, this is the series for you. Kath is a tried and true amateur detective who loves to stick her nose into everybody's business. Librarian MacRae does a superb job of coordinating her amateur sleuth ensemble cast while not overdoing the ghost angle in her third paranormal series (after Dyeing Wishes), set in Tennessee. Snappy repartee and genuine warmth are both conducive to the best sort of cozy. For fans of Sue Ann Jaffarian ("Ghost of Granny Apples" series), Denise Swanson, and Leann Sweeney.